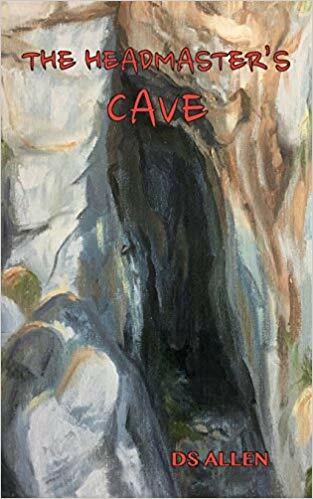 George Stewart is no hero, but when his friend disappears, he must confront his fears to rescue Dougie and to finally uncover the mystery of The Headmaster’s Cave. The 120th anniversary of the disappearance of seven children and their Headmaster in a local cave known as The Headmaster’s Cave is approaching. The knowledge that one of George’s ancestors disappeared with the other children has haunted him and his family for generations. When George and Dougie receive an unexpected email stating that the mystery has finally been solved, Dougie and Katie try to persuade George to journey with them. But not even the enticement of uncovering the mystery can tempt George to follow the word of a stranger to the dangerous and ‘haunted’ cave. Only when Dougie goes missing, will George and his friend Katie, accompanied with his dog, Flanagan, journey to rescue his friend. On their way, they must not only battle their fears, but must also overcome nature’s obstacles, Old Maggie and her dog pack, and the local bullies. But that’s nothing compared to the terror that awaits them in The Headmaster’s Cave, when the mystery is finally revealed. If you’ve got a middle grade reader who loves adventure books with a little mystery thrown in, they’ll love The Headmaster’s Cave. The main characters are not your typical hero types. They get picked on and bullied and aren’t the best loved kids, but they sure know how to have an adventure and find out the truth. The bullies are downright mean, but the “heroes” find a way to prevail in spite of those ever present characters. I think that Maggie and her dogs are my favorites in this story. Maggie may seem rough on the outside, but she’s got good intentions. I only wish she’d been in the story a little more! Your kids will enjoy reading about George, Dougie, and Katie and the way that their adventure unfolds. The book has a good ending, yet it leaves room for more adventures for our trio. Born in County Antrim, N. Ireland. I grew up and lived for many years in the beautiful town of Whitehead. It lies nestled on the east coast overlooking Belfast Lough. On a clear day it is possible to see the sunny shores of Scotland. I am currently a teacher and a writer. My profession has taken me to Scotland and Oman. I am currently living in Germany.